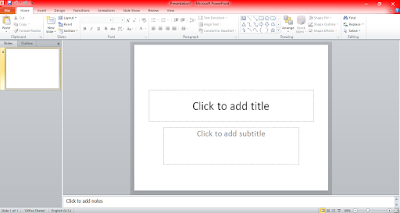 How to use Microsoft PowerPoint? 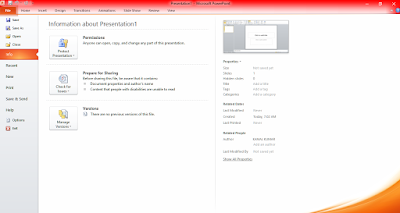 Microsoft PowerPoint is software for presentations that enable users to develop dynamic slide presentations. These presentations feature narrations, animations, videos as well as images. The paragraphs underneath will guide you how to use this application. This application uses slides for building the presentations. For creating engaging presentations, this application allows the user to add text, images, bullets, videos, and charts to the slides. Users can include as many slides as per their needs and choice. At any point, users can play or view the presentation. For this, they require selecting a slide and click on the play option. While starting a new PowerPoint file, either you can create a template or a blank presentation. Blank presentations enable users to apply some unique style. However, it takes excessive time. Though templates give a uniform styling to the presentations, however, it may not match the exact needs. You can apply given themes to the presentations, either before adding content or after the contents gets included. You require clicking on the design tab for selecting a theme. Upon selection, the theme gets applied to the project automatically. In case you want to change the theme or get back to a blank theme, you can even do that at a later stage, pressing the Control + Z command. Users can access the templates through the File tab. You need to click on the new tab and subsequently browse the templates available. You can even download varieties of resources from online sources. How to design the title slides? The title is the first thing that your views will notice. Readers should read the documents easily and it must produce an overview on the topic. Remember, you need to make the titles engaging so that you can retain the attention of the readers. For the new slides, you need pressing the Control +M command. This will add a new slide, just after the one you are currently working. The new slide will feature boxes for the title as well as the content. You can either select from available options or you can insert some unique objects. You need to do this using the insert tab. To add text to the content box, you need to click & drag to adjust the size. You can adjust the size at a later stage by grabbing either of the corners and subsequently dragging and clicking. You can click on the text box and initiate typing content to the presentations. Text can get formatted in a style similar to that in words. The home tab has got formatting options. This is a wonderful application that has been assisting users to design effective and engaging presentations. Using this application, you can develop quality presentations that will convey your messages in the most impacting style. Once you adopt the simple steps, development of the presentations will take few minutes to produce the best resources for your presentation events.